Join RA Emilio this Friday to watch the first scary movie of the season! 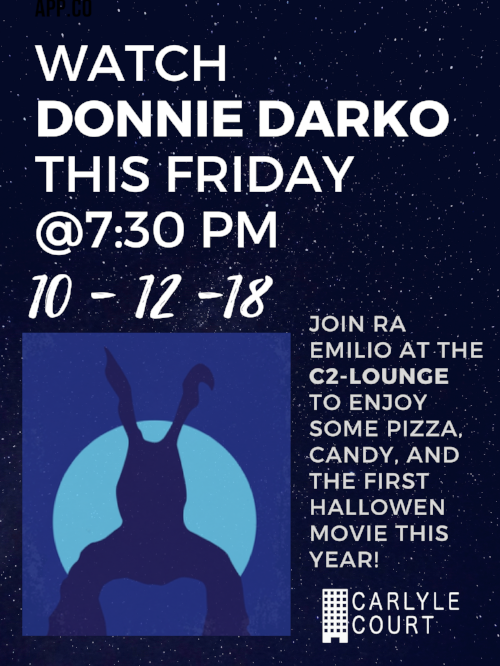 Come get some pizza and candy while we enjoy Donnie Darko. Stay after the movie to halve a quick debrief of how the media deals with mental health. See you there! The Museum at FIT's "Pink: The History of a Punk, Pretty, Powerful Color"